An auction dedicated solely to a private collection will be online till the 3rd May. From the cellar of a Loire restaurant renowned for its wine list, this selection features mature vintages and classics from all the winemaking regions as well as lesser known treasures from the Loire. The private collection comes from just south of Tours, in a cellar situated under the fine dining restaurant Le Moulin Fleuri This family run hotel and restaurant was founded by the current manager’s parents in 1973 and has been awarded an “assiette Michelin” for its cuisine. Keen wine enthusiasts, the family has built up an extensive cellar through participating in the allocations system and buying wine direct from domains. 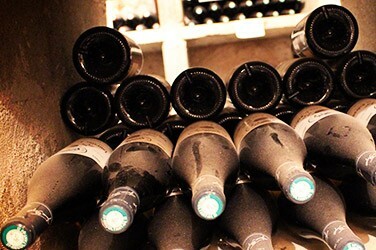 It’s thanks to this marvellous cellar that the restaurant’s wine list offers nearly 600 different bottles, a feat that has earned it high praise from critics. The current owner, Michael Chaplin told us more: “we had some of the finest wines and in the 1990s we were still selling Lafite and Petrus…”. “We became a sort of reference for many domains in the region. Domaine Huet often recommends our restaurant because we offer a wide range of different vintages of their wine, some of which even they don’t have anymore.”. Their choice of wine is evidently second to none. The Michelin Guide wrote: “A 16th century mill serving excellent food. Situated next to the Indre river, food lovers will enjoy the well-made and generous modern cuisine accompanied by a beautiful wine list. For those wishing to prolong their stay, you’ll find rooms and a river garden”. La Revue du Vin de France also mentioned their wine list in 2011. However, the restaurant is now looking to adapt its wine list in line with current consumption habits of their customers. It wants to lower the amount of stock and reduce the selection (from 600 to 200 wines). The plan is to offer younger, less expensive wines that align with the modern-day palate. The restaurant would also like to offer new wines at attractive prices and in order to do so they must make some room in their cellar. “We have always loved sweet wines but today tastses have changed dramatically and we find that, apart from by the glass with foie gras, we have little occasion to offer it. It’s a shame because we have built up quite the collection. We particularly love sweet Chenin as it ages beautifully and tasting it is always a special moment”. Needs must, the couple has decided to release a part of their cellar to the iDealwine auction. “It saddens us to see these wines go but we know that with iDealwine they’ll find happy homes in the cellars of fellow wine enthusiasts”. 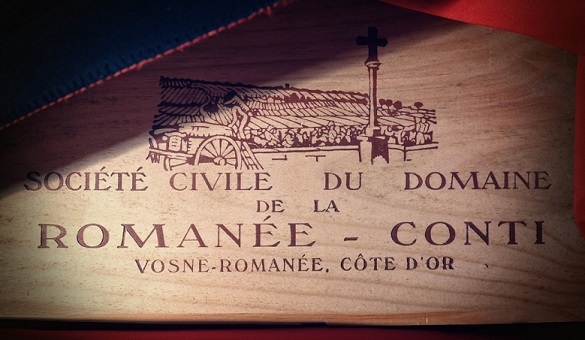 This auction brings together over 750 lots from various French winemaking regions. Vintages date back to 1921. Situated in the Loire, it is hardly surprising that wines from this region for account for about half of this restaurant’s collection. Mostly sweet wines, there is also beautiful selection of mature reds from some of the most sought-after producers amongst those in the know: Couly-Dutheil and James Paget (Chinon), Lamé Delisle Boucard (Bourgueil) and Yannick Amirault. For the dry whites, you will find lots featuring La Coulée de Serrant (1989, 1990…) and La Taille aux Loups. There is plenty to grab the attention of those looking for mature vinatges: there is Vouvray from Caves Duhard (1933), Château Chevrier(1937) and Le Petit Monaco – Bienvenu (1944). Finally, sweet wines from the Loire include Bonnezeaux 1943, 1962, 1971 from René Renou or Château de Fesles, Coteaux-du-Layon Rochefort from Château Grosset (1955, 1959, 1969, 1975…) and Domaine des Baumard as well as exceptional Vouvray from Domaine Huet going back as far as 1921 and old Montlouis from La Taille aux Loups. 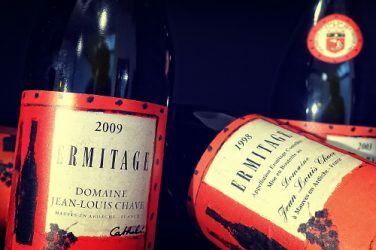 From the other regions, don’t miss the fine Burgundy up for auction such as the La Romanée Grand Cru from Comte Liger Belair (1982, 2004), wines from Clos de Tart and some beautiful bottles from Bouchard Père et Fils and Louis Latour. Bordeaux offers up some classics at beautiful maturity such a as a Petrus 1979, Mouton-Rothschild 1981, Haut-Brion 1970, Lafite Rothschild 1969, Pavie 1995, Yquem 1982 and some old sweet wines in the form of Château-Gilette (1956,1962) and Guiraud 1976. A grand selection of mature vintage Champagnes is also on offer. You’ll find names such as Billecart-Salmon, Louis Roederer (Cristal), Perrier Jouët (Belle Epoque), Henriot (Cuvée des Enchanteleurs), Krug and more. From the Rhône, there is Jaboulet’s Hermitage La Chapelle and rare bottles from Château Grillet. 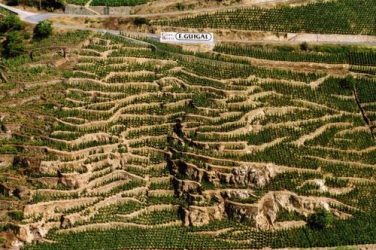 Be sure to also peruse the old Armagnacs from the 1940s, Opus One (Napa Valley), the beautiful Cahors (Clos Triguedina) and the vins jaunes, Cognacs, Rivesaltes and Calvados. 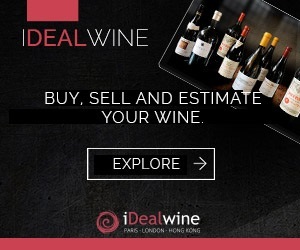 Let us present you with one of the finest private collections ever sold on iDealwine. An array of the best French wines, perfectly sourced and stored.